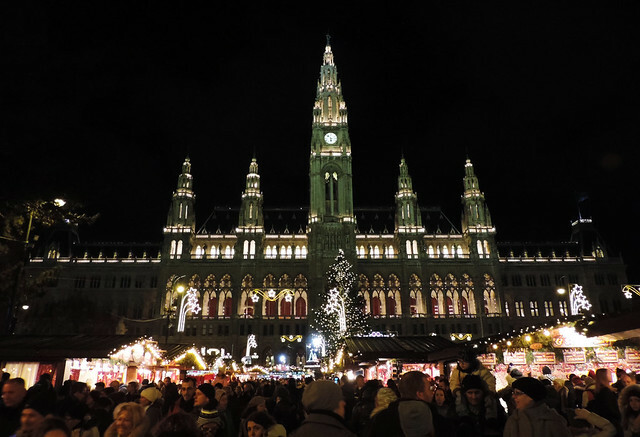 Vienna is one of our favorite cities in the world and one of the many reasons is its stunning architecture. Historic buildings and modern structures blend together to create the unique atmosphere of the city. 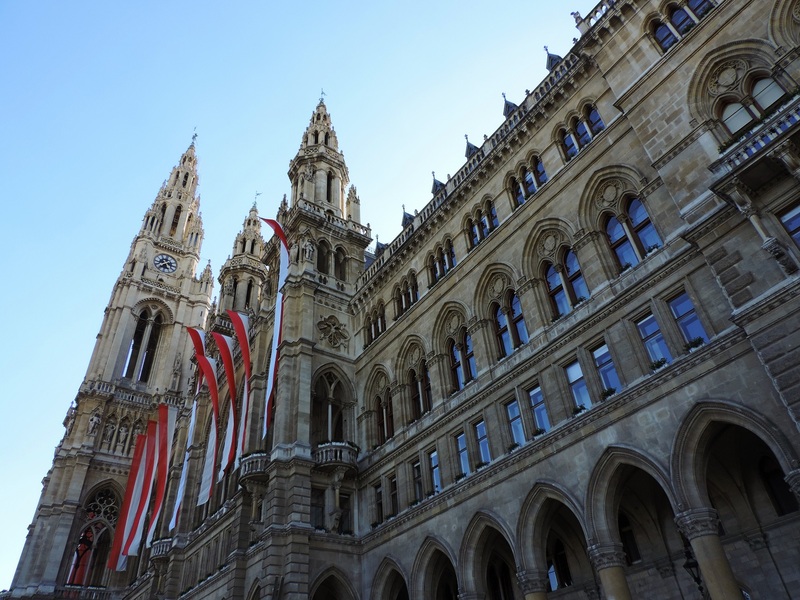 And our favorite building is the City Hall (Rathaus). 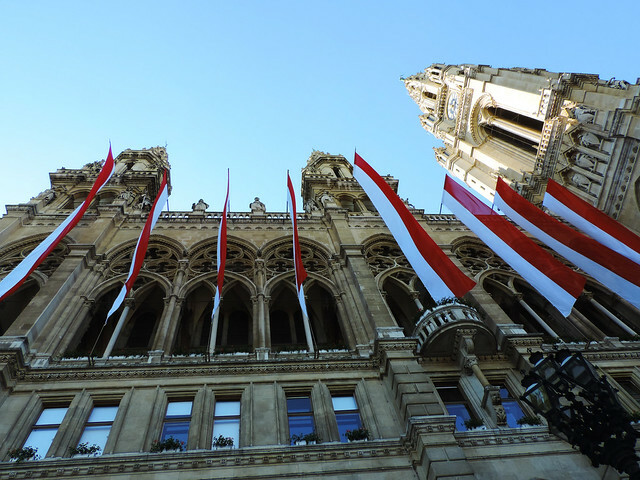 Why has Vienna City Hall impressed us? 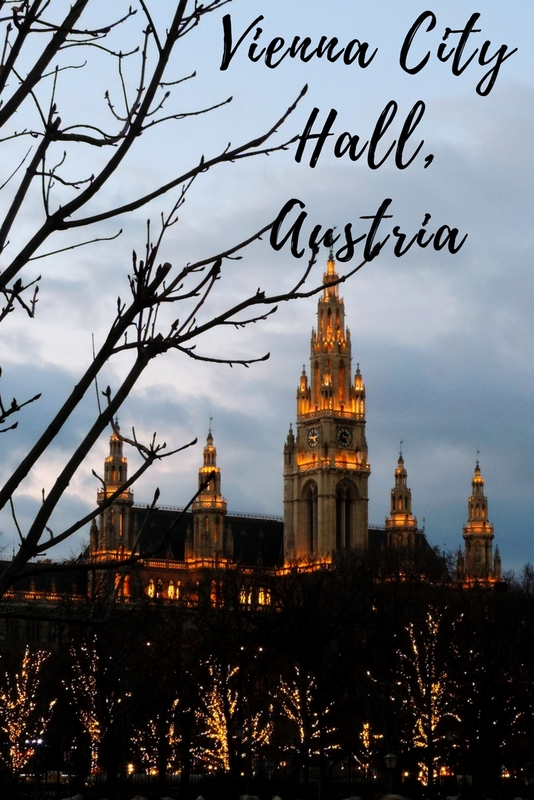 Vienna’s City Hall is magnificent. And it’s also romantic – probably because of its Neo-Gothic style with the elegant towers. For us it’s definitely the crown of the city center. 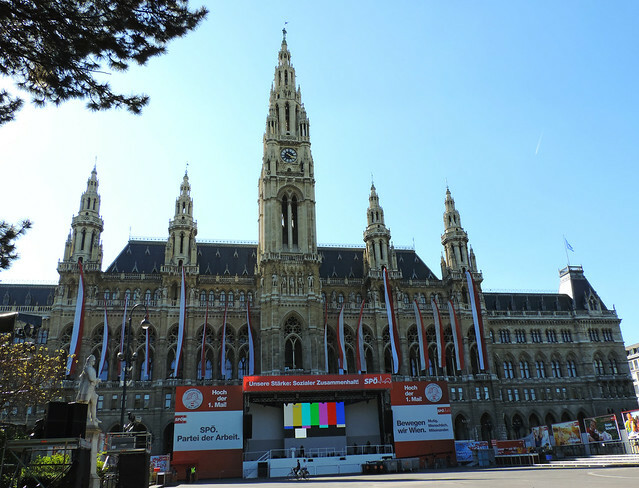 And Rathausplatz, the square facing the City Hall is the place where all the things are happening! Like movie festival in the summer or temporary ice rink and Christmas market in the winter. Though we’ve visited Vienna a couple of times in different seasons by now we’ve never seen Rathausplatz empty. This City Hall – the second one – was erected between 1872 and 1883. It was that time when Vienna’s central avenue, the Ringstraße was laid out. 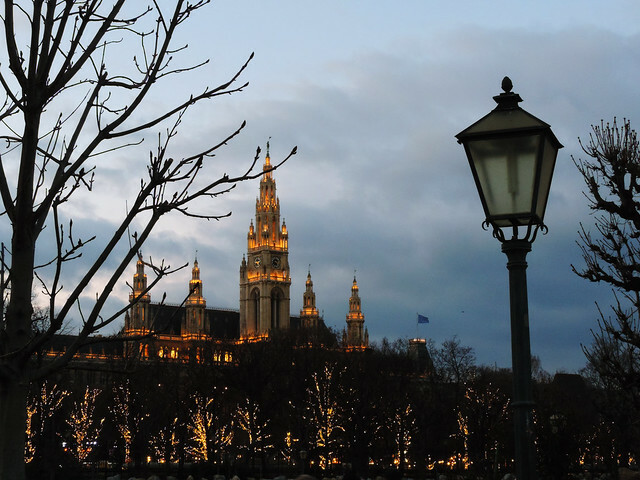 The architecture of the Ringstraße is dominated by historicism and the City Hall blends in perfectly with its Neo-Gothic style. A hint about its size: 6 floors, 2 basements and 1575 rooms. And there’s also a fun story about its size. Because they say that Emperor Franz Joseph I ordered that the new City Hall of Vienna can’t be higher than the Votive Church (99 m). So the inventive architect Friedrich Schmidt designed a building that was 97.9 meters high and then put a 5.4 m knight sculpture (called Rathausmann) to the top of its tower. Finally, the City Hall with its 103.3 meters ended up to be higher than the Votiv Church. Ooops. Its designer, Friedrich Schmidt was a German architect and he designed quite a few ecclesiastical and secular buildings in Austria and Germany. He also took part in restoration of several famous churches. Some of his well-known works are: Church of St. Lazarus, Vienna; restoration of St. Stephen’s Cathedral, Vienna; restoration of St Peter and Paul Cathedral, Pécs, Hungary; Vaduz Cathedral; St. Joseph’s Cathedral, Bucharest. 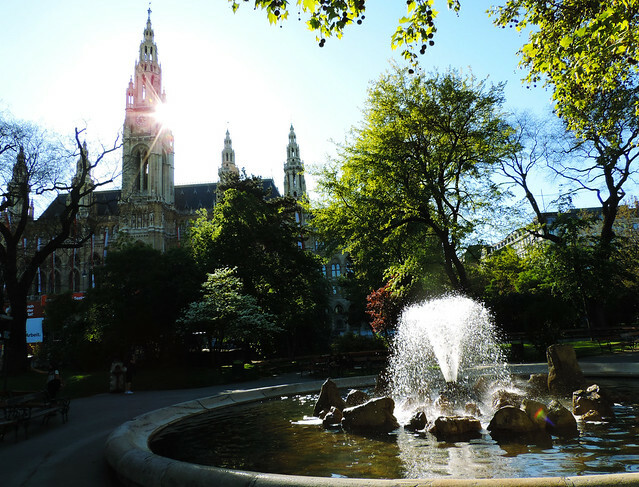 Have you been to Vienna? Do you have a favorite city hall?